FireGuard double-wall fire-protected aboveground storage tank features an inner and outer steel tank with a unique lightweight thermal insulation material that exceeds the UL 2-hour fire test. Insulating material is 75% lighter than concrete, reducing shipping, installation and relocation costs. 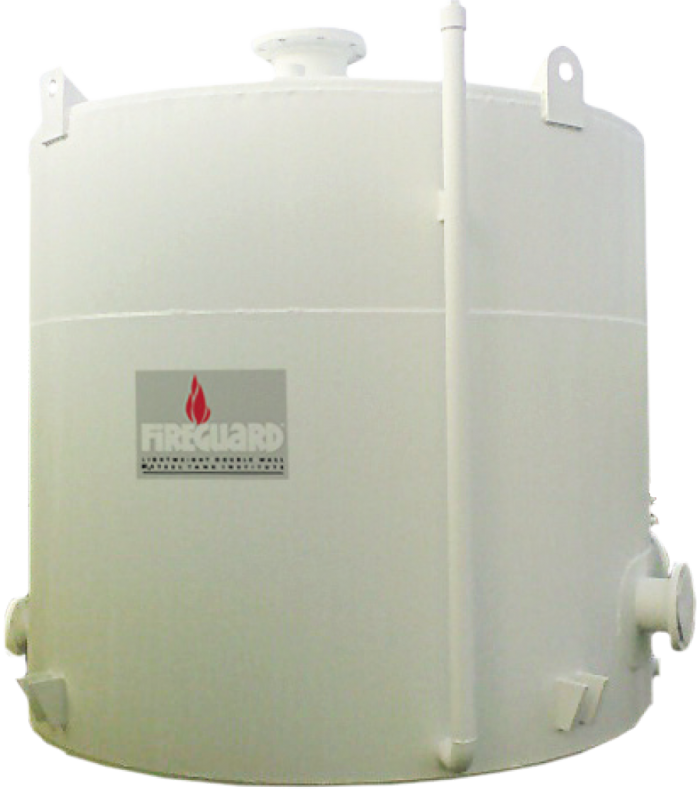 FireGuard tanks are also available in Horizontal and Rectangular designs.